In 2009, I partnered with Shelly Farnham of Wagglelabs to conduct a targeted regional questionnaire study gathered useful data about the current uses of industrial/office space, technology, existing studio and work spaces, housing needs and preferences to advance creative and technical innovation goals. 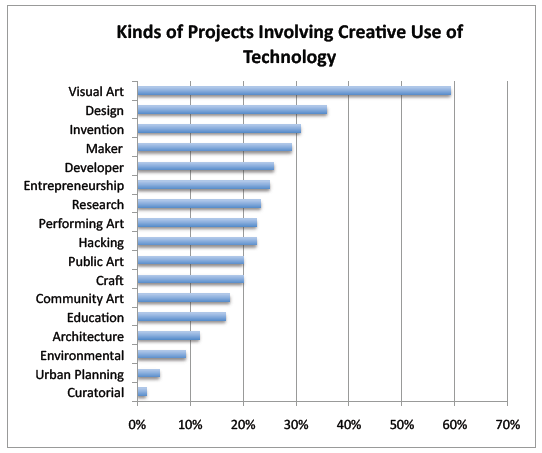 See full report: Art and Technology Incubation for Technology Creatives in the Northwest: A Questionnaire Study. Our target community of technology creatives was most interested in knowledge sharing, collaborative opportunities and incubation space. 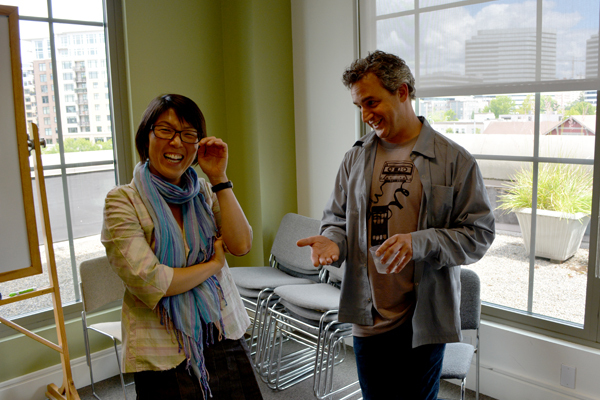 We researched other inspiring creative incubator and fablab models including Eyebeam, MIT Media Lab, Carnegie Mellon Center for Creative Inquiry, UW DX Arts Lab and others. Our study results identified a regional need for flexible office space, creative live/work housing and art/tech/media incubation resources and greatly informed the design and programming of BRINC: The BelRed Incubator mixed-use development proposal. This density of technology creatives – artists, programmers, technologists, designers, entrepreneurs in the Pacific NW has had a meaningful impact on the regional art community and beyond, placing the Northwest in a unique position to show global leadership in emerging genres of interdisciplinary, technology-mediated art. This past summer (2014), my serial, co conspirator Shelly Farnham and I started meeting, scheming and hatching a plan to further the research we had started with our 2009 research report. Much had evolved since that time and we wanted to revisit our findings and take a fresh look at the evolving community of technology creatives in the NW. 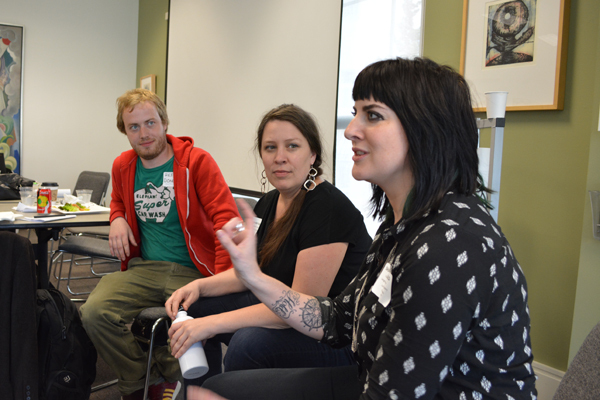 In July, we organized a workshop at Cornish College of the Arts, bringing together key stakeholders in the region. 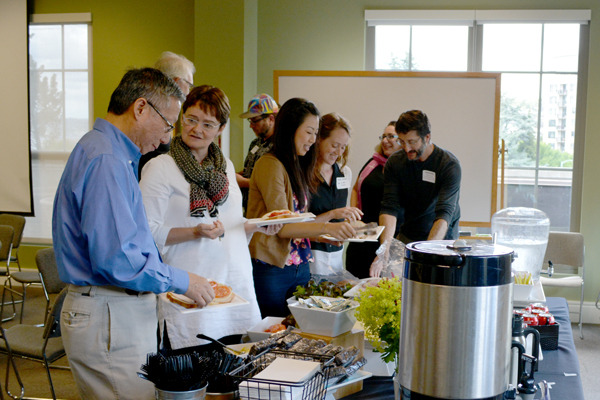 We met with our colleagues at Cornish College of the Arts and Microsoft Research to create a framework for a forum that would engage thought leaders from this community. 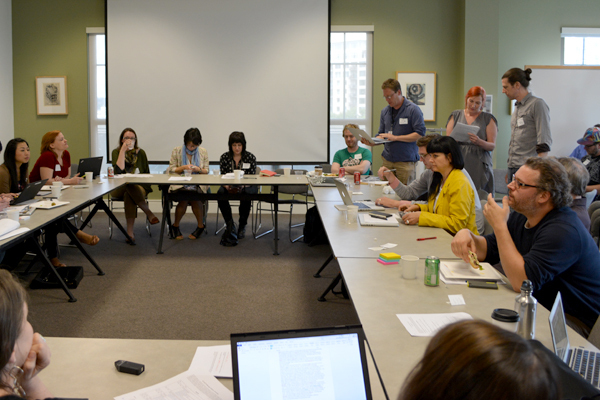 We gathered with these leaders for a half day at Cornish to create a collective agenda and spark next steps for achieving enhanced, cross-organizational and transdisciplinary awareness and communication to nurture this community of practice. 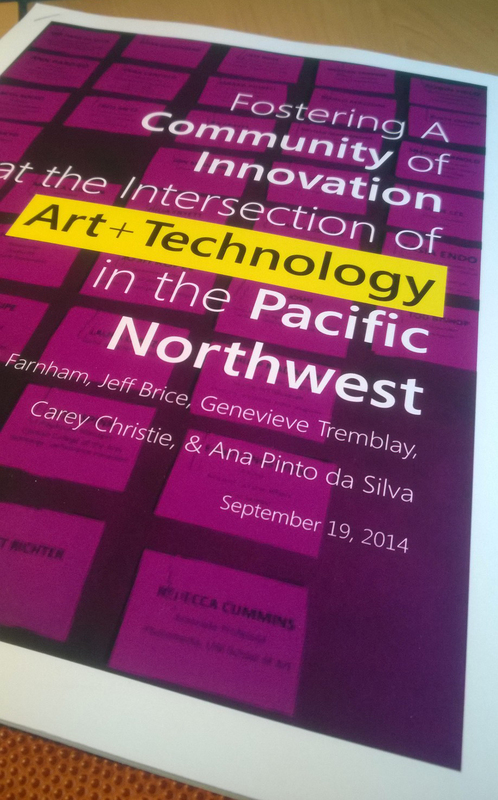 Fostering A Community of Innovation at the Intersection of Art + Technology in the Pacific Northwest is the white paper that colleagues Shelly Farnham (Microsoft Research), Ana Pinto da Silva (Microsoft Research), Jeff Brice (Cornish), Carey Christie and I created to share our research findings and community building efforts. This document maps our regional innovators, articulates and prioritizes the community’s common goals and proposes knowledge sharing, communication vehicles and next steps toward further fostering this community. The Institute of Emergent Technology + Intermedia (iET+I), at Cornish College of the Arts is serving as one of the nodes of this community. You can download a copy of our report there. We are very excited to share it with you!